Little Manila Rising advocates for the historic preservation of the Little Manila Historic Site in Stockton, California and provides education and leadership to revitalize our Filipina/o American community. Gloria was born in Tijuana, Baja California, Mexico, an urbanized town bordering the state of California. As a young community member she witnessed that her city was heavily impacted by immigrants although this issue never became a major factor in her life until she became one. In 2015 Gloria immigrated to Stockton, California where she attended Edison High School from 2015 to 2018, and where-after being part of the "Us" History after school program-she took advantage of the M.E.Ch.A. club to advocate for the integration of the hispanic non-english speaking students into the school community. Gloria is a student at San Joaquin Delta College, and an intern for Little Manila where she focuses on planning the Next America Project which emerged in order to educate and organize immigrant students on issues that are currently affecting the immigrant community in Stockton. Elaine Galiza Barut is a public health advocate and a youth leader of St. George’s Youth Group. She is a 2nd generation Filipino American who was born and raised in Stockton, California. A graduate of Weston Ranch High School, Elaine went on to attend San Joaquin Delta College and later transferred to Sacramento State where she earned her B.S. in Health Science with an emphasis in Community Health Education. Since then, Elaine has moved back to Stockton where she strives to give back to the community that raised her. Brian Batugo is a teacher and arts director with Little Manila Rising. In this role, Brian coordinates a traditional dance and music programs the Little Manila Dance Collective and Kulintang Academy. Brian is no stranger to youth engagement in the arts having spent five years as an educator currently teaching student government and leadership at Edison High School and over ten years as cultural dancer with various dance groups in the Bay Area. A big believer in building a network of cultural artists, Brian has built bridges among cultural workers and artists in San Francisco, San Diego, Sacramento, and the Philippines. Brian’s background in dance, theater, and ethnic studies from UC Berkeley has provided the perfect foundation for producing performances across the community that promote Filipino American visibility through forms of traditional art. To contact Brian please email brian@littlemanila.org. CaseyAnn Carbonell is a second generation Filipina-American, a community advocate, and one of the first students to attend the Little Manila After School Program when she was in high school. CaseyAnn was born in San Jose and raised in Stockton, she graduated from CSU Sacramento with a Bachelor of Science in Business Administration emphasis in Human Resources and Organizational Behavior, minor in Economics. CaseyAnn works hard to give back to her city, take care of her family, and uplift her community. Lailani Chan Ramirez was born in the Philippines and moved to Stockton, CA in 1979 with her mother and three siblings. Lailani graduated from Edison high school and attended San Joaquin Delta College for two years where she received an Associates Degree in business. She then transferred to San Diego State University to earn Bachelor’s Degree in Business Administration with an emphases in Accounting. Lailani currently works as an auditor. Nikki Chan is a community advocate, graphic designer, and journalist. She graduated from Dominican University of California with a BA in Communication and Media Studies. As a community advocate, she uses her skills in design and journalism to help ignite and raise voices of people who are marginalized. She has helped her hometown city of Stockton in numerous health initiatives like the Healthy Beverage Ordinance, Greenlining the Hood, and issues affecting Asian American Pacific Islanders. She also created a news and opinion web series "In the Nik of Time" that highlights local issues in Stockton. Nikki currently lives in Stockton and continues to reinvent her hometown. Celin Baliola Corpuz is a daughter to Filipino farmworker immigrants back in her hometown, Delano, California. She moved to Stockton, California, where she developed her love and passion for her community. Celin has played many vital roles in her community, from being a local activist, a cultural dancer, and mentoring young students. In May 2018, she graduated from Edison High School, Class of 2018 (go ehouse!). From mentorship through her educators, she has blossomed into a resilient and unapologetic Pinay! She currently attends UC Davis as a double major in Asian American Studies and Dance/Theatre. Celin plans to boomerang back into Stockton as an Educator to preserve history, enhance equity, and create a catalyst of movement in the next generation of young Stocktonians. But apart from her activist life, Celin sets her self-care time through her love of thrifting, reading, and Netflix with her Shorkie, Shakespeare! Dillon Delvo is a 2nd generation Filipino American, born and raised in South Stockton, California. A graduate of Edison High School, Dillon went on to San Francisco State University and received a B.A. in Cinema and M.A. in Asian American Studies. For the past 21 years, Dillon has served as the volunteer youth minister of social justice centered St. George’s Youth Group for which he was a member in his teenage years. In 2000, Dawn Mabalon, Ph.D. and he created the non-profit organization Little Manila Rising in response to developer attempts to destroy the historical site. He served as the Senior Field Representative for Senator Lois Wolk. Currently, he is the Executive Director of the Little Manila Rising. Dillon has served on the Stockton Unified School District board of trustees, the Filipino American Democratic Caucus of California, and Catholic Charities Diocese of Stockton. He lives with his wife Rebecca and daughters Therese, Genevieve, and Colette in South Stockton. Hannah Rhea Divino was raised in South Stockton and graduated from Edison Senior High School. She recently graduated from the University of California, Davis where she double-majored in Sociology and Psychology. There, she learned the tools to think critically about existing inequities and received education that reflected and validated her own experiences and the experiences of her ancestors. Her love for the community and drive for positive change motivates her to empower and uplift the youth in Stockton through education. Her passions and interests include public health, mental health, higher education, dolphins, and social activism. An Ethnic Studies professor at CSU Sacramento, Nancy drives her work further as Executive Director at Stockton Schools Initiative through her well versed social justice theoretic and civic engagement policy work. Born in Michoacán, Mexico and raised in Stockton, she believed in the transformative power of education and received a Doctorate of Philosophy and Education from the University of Utah. Dr. Huante currently sits on Board of Directors for SURF, a fellowship rooted in cultivating the next generation of Stockton leaders, and Xicana Collective, a coalition which focuses on muxeres’ lived experience as tools of transformation. A native son of Stockton California, Joel is a second generation Filipino American with deep roots in the area. He has attended local schools and colleges with a degree in business administration. In 2014, Joel was installed as a Little Manila board member. Currently, he is employed by the City of Stockton within the Municipal Utilities Department. He is also the Filipino Martial Arts instructor under the Bahala Na Association at the Little Manila Center. Joel lives in Stockton with his lovely wife Jennifer their son Leo, daughter Annabelle and pet dog Chop. As an undergraduate student studying psychology and teacher education at the University of California, Santa Cruz, Debbie led the first student directed seminar on Filipino American History. It was during the research phase of preparing to offer this course, which included reading “America Is in the Heart” by Carlos Bulosan, that Debbie was inspired to visit Stockton, California. The class included many notable guest speakers that included FANHS Co-Founder Dorothy Cordova, Writer Al Robles, Poet Luis Syquia, and Union Organizer Larry Itliong. A Stockton native, Manong Larry’s tape recorded lecture is among the archives donated to Little Manila and his voice can be heard as you walk about the Little Manila Center. It was also in Stockton where Debbie met and made many lifelong friends, including her husband, Clarence Louie, a fourth generation Stocktonian, whose great-great grandfather, Louie Sun Hawk, immigrated from Canton, China in 1882 and made Stockton his American home. His sons and grandsons, including Clarence’s father, Lung On Louie, owned and operated the Foo Lung Market on Washington Street and after the destruction of Little Manila and Chinatown in the ‘70’s, relocated to the Filipino Center where it continues to do business today. For the past 25 years, Debra has worked at San Joaquin Delta College and is a Counselor and Professor. Lange Luntao is a third-generation teacher who was born in Stockton and raised in a mixed Filipino-Irish family. An Early College Sociology and Humanities Educator at Aspire Langston Hughes Academy (a charter 6-12 school), Lange is a founding member of the South Stockton Schools Initiative and Chair of the Reinvent South Stockton Education Committee. A graduate of Lincoln High School, Lange earned his Bachelor of Arts with Honors from Harvard College, where he studied Identity Politics in Contemporary America, was elected a Marshal of the Class of 2012, and co-launched the Fair Harvard Fund - a project to motivate Harvard to adopt socially-responsible investment strategies. After returning to Stockton, Lange served as the Field Director for the successful campaign to elect Michael Tubbs as the youngest City Councilmember in Stockton history. Lange earned a Fulbright Fellowship to Malaysia and worked in the Philippines after Typhoon Haiyan/Yolanda for International Medical Corps. He was elected in 2016 to serve as Trustee for Area 4 for Stockton Unified School District. He also serves on the board of the Central Valley Stonewall Democrats, the County Community Action Board, and is a corps member with Teach for America. Dr. Dawn Bohulano Mabalon is Associate Professor of History at San Francisco State University, where she teaches courses in United States history, race and ethnicity, food history, and US/Philippines relations. She received an M.A. in Asian American Studies from UCLA and a Ph.D. in history from Stanford University. Her research focuses on Filipina/o American history, historic and cultural preservation, and the Filipina/o American foodways. She is co-founder of Little Manila Rising and serves as National Scholar on the Filipino American National Historical Society Board of Trustees. She is the author of Little Manila Is in the Heart: The Making of the Filipina/o American Community in Stockton, California (Duke University Press, 2013), which was awarded an honorable mention for the Frederick Jackson Turner Award (best first book) by the Organization of American Historians. Her essay “As American as Jackrabbit Adobo: Cooking, Eating and Becoming Filipina/o American Before World War II,” was published in Eating Asian America, ed. Robert Ku, Anita Mannur, and Martin Manalansan (NYU Press, 2013). In 2013, she was named to the list of the Filipina Women’s Network 100 Most Influential Filipinas in the World. Our beloved Dawn passed away in 2018. No words are enough to explain what a tremendous loss this is for all of us at Little Manila Rising. What can be said is that she left a beautiful and critical legacy for us to continue. Read more about Dawn here. Elena has been a resident of Stockton since 1981, the year she arrived from the Philippines. She and her husband Fred have two daughters, the oldest a Professor in Math in Buffalo, New York and the youngest an English and Literature high school teacher in Stockton. Fred is retired from the State of California. She is currently a Division Manager at San Joaquin County Employment and Economic Development Department and oversees an annual $3 million budget for youth jobs programs. Elena’s vast experience in job programs include the farmworkers’ transition program, refugee integration programs, welfare-to-work and the federal and locally-funded youth programs. 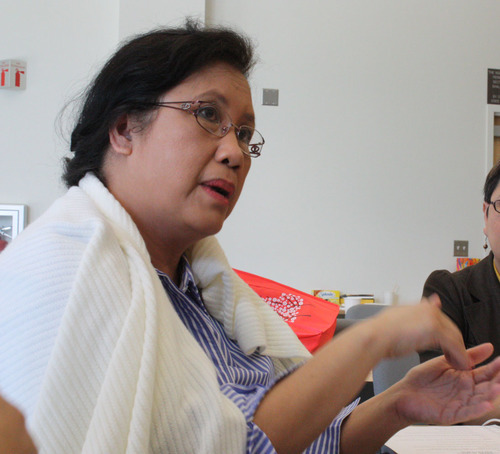 Elena serves as Chairperson of the San Francisco-based global Filipina Women’s Network (FWN) taking active role in leadership development of Filipinas in their promotional tracks in careers and entry into boards and commissions. FWN also sustains several women empowerment projects such as its advocacy work on anti-violence against women and girls. Presently Elena is also a lifetime member of the Filipino American National Historical Society. She also has a long-term affiliation with the Stockton Sister Cities Association being trained in peace work with national and international peace and justice organizations. Raised in Stockton's historically Filipino section of South Stockton on Eighth Street, Rob developed his love for our culinary arts very young. "Goats and flame throwers were my favorite alarm clock as a kid. I always knew it would be a fun day of watching great cooks all day when I woke up to those sounds." Rob moved to Chicago in 2002 to work and attend college. He cut his teeth as a professional cook in the Windy City. "Two years after meeting and working with Little Manila as a teen I decided to take the journey Dillon taught us: leave home for a while and come back when the time is right so I can contribute." In 2014, Rob returned and kept his promise. Since then he has become part of the Papa Urb's Grill family, started a pop up called ATANG (Ilocano for "offering"), and spearheaded the formation of the Little Manila Culinary Council for preservation of our food's history and culture. He is happy spending his life's journey with Little Manila and the entire community of Stockton. Phillip was born and raised in Stockton, California, where he currently teaches seventh and tenth grade history at Franklin High School. He moonlights as a local historian and Science Olympiad Coach. His passions include local history, youth empowerment, cultural bridge building, environmental science and policy, and East Asian languages and history. After graduating from Franklin High with his IB diploma, Phillip attended UC Berkeley, studying abroad at Peking and Minzu Universities in Beijing, China. He graduated from Berkeley with degrees in Geography and History, and wrote his honors thesis on the creation of civic identity in a culturally diverse area of Southern China. At Berkeley he worked as a Resident and Community Leadership Assistant at Bowles Hall, and was nationally recognized for his programming and community development work by the National Residence Hall Honorary Society. His experiences growing up in South and Midtown Stockton, as a student at Berkeley, and in China motivate him to use history to empower and provide opportunities for young people. 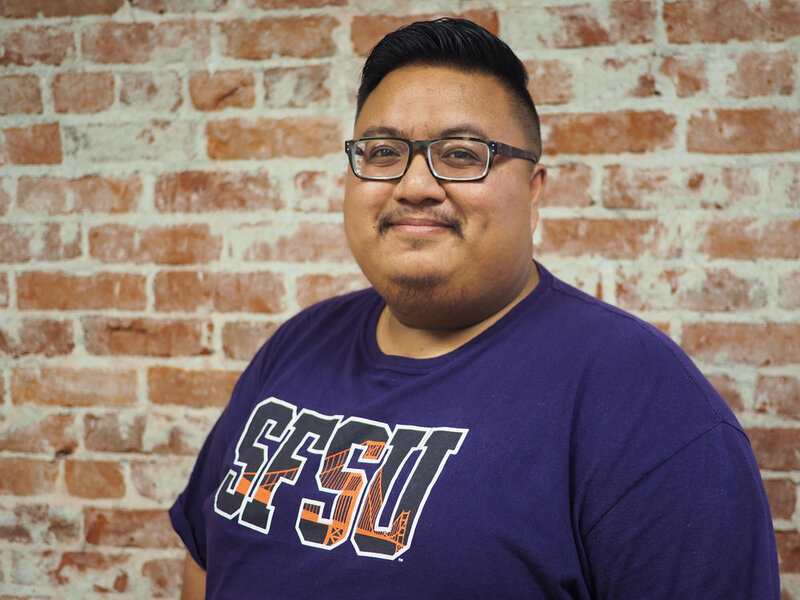 While working in Stockton he hopes to continue his research on the municipal government’s history of disinvestment in low income communities, and to partner with other educators to build new forums for youth civics and local history education. Anna Malaika NtiriwahAsare-Tubbs is a writer and teacher based out of the Bay Area. She recently graduated from the University of Cambridge with her Masters in Multidisciplinary Gender Studies in 2015, after having graduated from Stanford University with her bachelors in Medical Anthropology in 2014, as a member of Phi Beta Kappa. Anna is deeply interested in gender and race issues in the US, especially as these relate to youth and popular culture. She plans to establish herself as a trusted social commentator on such topics. She is currently a PhD student in Education at Cambridge, focusing on the role education has played in suppressing Black women’s narratives and how Black women have still thrived in academic spaces despite this challenge. Her opinion pieces have been published by The Huffington Post, For Harriet, and Spark. Sylvia Oclaray was born and raised in Stockton, California, and is the daughter of a Manong. She graduated from Cal State East Bay with a bachelor's degree in Health Sciences and a minor in Filipino/Filipino-American Studies. Sylvia started Filipino folk dancing at the age of five and has performed with various groups in the Central Valley and Bay Area. She was a folk dance choreographer and instructor, and council member for several Filipino clubs in high school and college. Sylvia is currently working as a Lab Assistant for Kaiser Permanente and has been a board member since 2002. Sylvia continues to perform with the Little Manila Dance Collective in her free time. Vanessa Palomares was born and raised in Stockton, California. She attended Stockton Early College Academy and was part of the first graduating class. She has also volunteered in her community at young age and has become the Spanish mass coordinator for St. George’s Church. She graduated from CSU Sacramento with a Bachelor’s in Social Work and is the first in her family to graduate from her college. Vanessa’s long-term goal besides furthering her education is to empower her community. Florence Quilantang is a second-generation Filipino-American who was born and raised in Stockton, California. She graduated from Edison High School, received a bachelor’s degree from the University of the Pacific, and earned a master’s degree from the University of San Francisco. Ms. Quilantang pursued a career in education at San Joaquin Delta College where she held classified and faculty positions. While at Delta she was a past officer of the Asian Pacific Islander American Staff Association and was also involved with the Cultural Awareness Program. In addition, she was a member of various local education groups including the Business Education Alliance of the Greater Stockton Chamber of Commerce, Phi Delta Kappa--UOP chapter, and the Association of Filipino-Americans in Education of Stockton and Vicinity. Although she has since retired from teaching full-time, Ms. Quilantang continues as an adjunct professor in the Applied Science, Business, and Technology division at Delta College. She is a charter board member of Little Manila Rising. Lorenzo Romano was born and raised in Stockton CA and is a son of a Manong. He is the former chairperson of Little Manila from 2010-2015 and joined the board in 2006. Lorenzo has been the curator for most of Little Manila Rising’s events, tabling setups, displays, and exhibits. If you have ever visited our Little Manila Booth at the annual Barrio Fiesta in Stockton, Lorenzo was mainly the one who setup and merchandised the displays over the years. You may have shared a story with him as he enjoys listening to visitors share about life with the Manongs in Little Manila. Just like his late farmworker father, he has a hands-on approach in his contributions to the Board. Lorenzo constructed a large foldable filipino farmworker artifact display for presentation in the Bob Hope Theatre lobby during The Romance of Magno Rubio play. Come and visit the Little Manila Center on 521 E. Main St. in Stockton and enjoy the artifacts depicting A Day and the Life of a Manong. Lorenzo was one of the main exhibit builders for the Tony Somera Gallery at the Center. Lorenzo’s profession is in technology and education. He is a graduate of Edison High School and San Jose State University. He enjoys the California Delta waterways with much appreciation and honor of his father and other Manongs who endured backbreaking work harvesting crops throughout the area. He credits his father for teaching him the handiwork and resourcefulness shared with Little Manila Rising today. Aldrich Limpin Sabac was born and raised in, Southside, Stockton, California. He graduated from Edison High School in 2005, received a bachelors in Asian American Studies and a bachelors in Sociology from San Francisco State University in 2010, and received his Masters in Education from the University of California, Los Angeles in 2012. Aldrich is currently a full-time English teacher at Edison High School and co-chair of the English department. Dom was born and raised in the Salinas Valley and attended elementary and high school in Salinas. He was accepted at the University of California, Santa Cruz, where he majored in Sociology at Merrill College and was awarded College and Thesis honors. After spending some time in Seattle working with Filipino Youth Activities, Inc., he returned to California where he worked in management positions in the utility industry and in high tech. Dom is very active in volunteer organizations including the Asian Cultural Experience (ACE) in Salinas, the Monterey Bay Chapter of the Filipino American National Historical Society (FANHS), the Salinas Cultural Center, has contributed to the Salinas History Project and after serving as a Board Member and president of UCSC’s Alumni Association in an earlier term, Dom has rejoined the Alumni Association as a Board Member and Chair of the Scholarship Committee. He has once again been selected to join the Executive Committee and will serve a second term as President of the association beginning in July 2020. He is very excited to have been invited to join the board of Little Manila Rising. He has two beautiful daughters from a previous marriage. Debbie Vallejo is a lifelong resident of Stockton and surrounding communities. She attended local elementary and secondary schools, San Joaquin Delta College, and the University of the Pacific where she studied philosophy and sociology. She has a corporate background in sales and marketing and is currently Deputy Executive Director of TEAM Charter School in downtown Stockton, which she co-founded. She is the daughter of a Filipino immigrant, sent to the United States in 1927 at the age of 14. Her father worked as a farm laborer to help his parents, brothers and sisters in the Philippines, and then to provide not only for them, but for his own wife and children in America. A major factor in the successes she has experienced in due to her father, and so many others who worked in the blistering heat with a short handled hoe, and who overcame many other obstacles, so their children would have opportunities. Debbie is honored to serve on the Board of Little Manila Rising whose work helps to ensure the contributions of our ancestors to this, and other communities will be shared for generations to come. Rhonda Neal Ureta-Villalos is a fourth-generation Filipina American born and raised in Stockton, California, where she lives with her husband Doug Villalos and their four children. She has worked at PG&E as a supervisor and in various capacities for almost two decades. She is a graduate of University of Phoenix, where she received her BA in Business Management, and Heald College obtaining Associates degree in Business Administration and Accounting. She has served on the board of the Numancia Aid Association for more than a decade. The Numancia Aid Association, a Filipino American nonprofit based in Stockton, is a mutual aid organization that provides support for people of the town of Numancia, Aklan, Philippines, and people of Numanciahanon descent in the United States. The organization, founded in 1932, is one of the oldest continually operating Filipino American nonprofit organizations in the United States. She has been a board member of Little Manila Rising, a Stockton-based historic and cultural preservation advocacy nonprofit organization, since 2013, and was elected Chair of its board in 2015.